UPDATE: The Boil Water Notice has been rescinded for all of Cocoa Beach. COCOA BEACH, Florida - Due to a water main break at 4700 Ocean Beach Blvd., Cocoa Beach, several addresses are under a "Boil Water Notice." Due to a water main break at 4700 Ocean Beach Blvd in Cocoa Beach, the City of Cocoa Utilities Department is notifying residents to boil their drinking water. 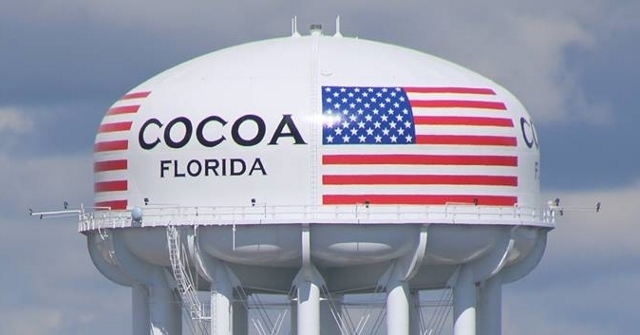 Therefore, as a precaution, the City of Cocoa advises that all water used for consumption (i.e. drinking, cooking, making ice, brushing teeth, washing dishes, etc.) be boiled. A rolling boil of one minute is sufficient. As an alternative bottled water may be used. The water is safe for bathing, laundering, and other non-consumptive uses. Tap water can be disinfected by adding eight (8) drops of unscented household bleach (4-6% active ingredients) to each gallon of water, then mixing the water and allowing it to stand for a minimum period of 30 minutes. Note: Cloudy water requires 16 drops of bleach and a 30 minute contact time. Also, other approved chemical disinfectants are available at stores that sell camping and hiking supplies. This “Precautionary Boil Water Notice” will remain in effect for a minimum of 2 days until the problem has been resolved, and a bacteriological survey indicates the water is safe to drink. The bacteriological survey will be performed after the repair has been made, and will be in compliance with Department of Environmental Protection and Department of Health regulations. A rescission notice will be posted once the bacteriological survey is complete.